Taking into account the intense rivalry in the market and as there is an influx of mobile devices every month, it is suggested to roll out small OS updates which work effectively on the latest devices. The mobile app developers strive to meet the demands of the user base by developing enthralling and new features. This can be done by minimizing the app release cycle and feature the newest patched and updates. The feedback and ratings posted on app stores are very much vital. Even a single misstep in the app could result in app store rankings to plummet down because of the negative review. This results in fewer app downloads. Shortening the app release cycle and rolling out incessant updates serves to patch up the mistakes fast enough. HOW TO MINIMIZE THE CYCLE? The app’s logic must be analyzed. Routing the traffic to a landing page gives deeper insight so that it can be validated and the resultant data is researched. Provided there are signs that there is a proper engagement associated with the app concept, then it is effective for the app to be rolled out with a smaller release cycle. Everything has to be accounted for and even the smallest information will contribute much to the user flow related to how the app will carry out all the features along with the interface. 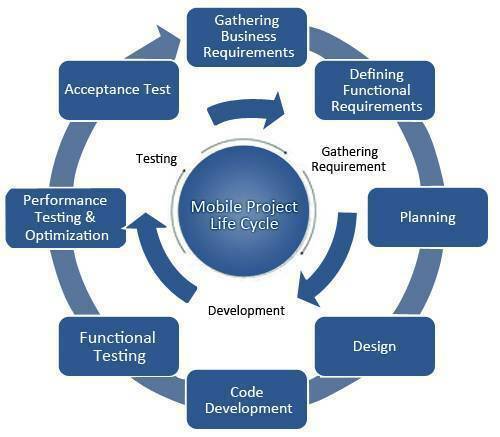 A lot of insight is provided for the mobile app developers defining what is needed and not. The development gets boosted. Implementation of additional features, later on, must not be considered in this phase. Related to any new mobile app which is incorporated with fewer features so as to get a comprehension related to the app’s standing in the market and analyze the user response is termed as Minimum Viable Product. Post gathering the data, it can be manipulated to develop a complete app. Rolling out an MVP before the official launch of the app provides deeper insight and effective manipulation of the accumulated data to make refinements here and there. The app release cycle is minimized when evaluated with a totally developed app product. The priority related to user data accumulation is very much understood by mobile app development agencies. Encompassing an API strategy proves effective related to the mobile app development team. It provides easy access to information and aids the app developers to generate effective user experience rather than analyzing the system. A robust API scheme will secure the systems from the every varying client apps which forces each app to be updated as per their speed. For app-enhancement, it does not relate itself only to app store reviews and feedbacks alone. This will also lead to the generation of incomplete data which features scarce data and also a fewer number of users who promote their opinions and much more. Related to app analytics, it aids in comprehending the problems associated with users prior to generating feedbacks from their side. It ultimately serves to enhance the app. Mobile app industry is seeing an intense vying with regards to the competition where it is growing rapidly. Related to that, shortening the app release cycles and the manipulation of new schemes are the only way to create an impact. The main goal is to quicken the process without affecting the quality of the app simultaneously. In addition, it is mandatory to be in sync with the big market needs and requirements. Author Bio : Pyramidion Solutions is a special and reputed Mobile App development company in Dubai and it is well known for developing robust mobile apps for the iOS, Android and Windows platforms. We at Pyramidion Solutions value for quality at affordable pricings related to services. We are there to take care of your needs and develop a powerful mobile app suiting your requirements.